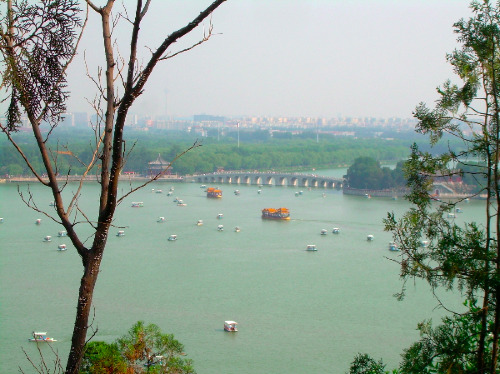 I was going to make a really cool Summer Palace blog post but one of my lovely cohorts beat me to it. So I’ll just give my 5 cents. It’s not really much of a palace, more of a large hill and a big lake. The best part was the group trying to get a boat with a motor and a boat where you bike to go the same way at the same speed. We mostly just gave up and had a picnic in the middle of the lake consisting of bread, Nutella, peanut butter, and jelly. Blond people actually do get asked for pictures apparently. Religious studies can actually be useful in real life. So this week @ WUHAO I’m helping the big boss finally create an actual website where things can be bought and products explored and all that good stuff that we take for granted in this age of technology. 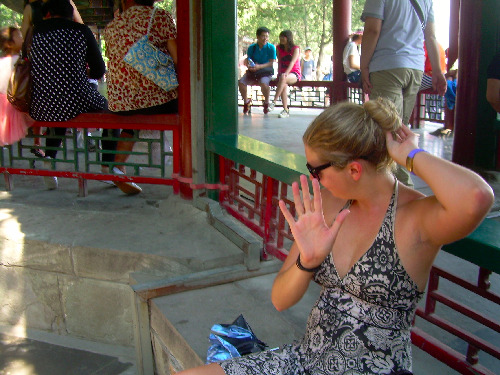 Just because we work in a 16th century Chinese garden doesn’t mean we should adhere to 16th century Chinese practices. Anyway, building a fancy website takes fancy technology and a whole lot of pictures and information to put together, so I’m gonna go get started. Here is a picture of the cats that live at WUHAO.